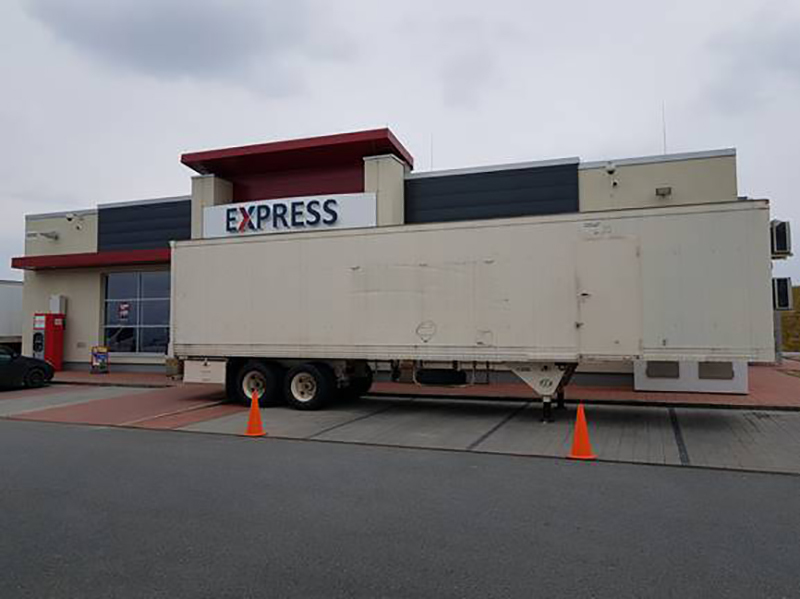 The Netzaberg Mobile Field Exchange will be stocked with basic items while the Exppress goes through renovations. The Express re-opens Oct. 10, 2018. NETZABERG, Germany –The Netzaberg Express re-opens Oct. 10, 2018, at 11 a.m. after months of renovations. Additionally, the Community Bank ATM at the Express — which has also been out of service — will be fully operational Sept. 29. Since, April 19 the Netzaberg Express has underwent major interior renovations. Until the grand opening in October, the Grafenwoehr Exchange will continue offering a Tactical Field Exchange (TFE) to provide basic necessities. Customer still can purchase fuel. The Express will be back to normal operations Oct. 10 featuring basic items, such as cold beverages and snacks. Customers will also still be able to purchase fuel. Once the store opens, operating hours during school months will be Monday-Friday from 7 a.m.-7 p.m.; Saturday from 9 a.m. – 7 p.m.; and Sunday from 9 a.m. – 4 p.m. The Netzaberg Express sits adjacent to Netzaberg Elementary School and Netzaberg Middle School. It services the Netzaberg community and reduces hours during summer months when school is no longer in session.